Every cannabis connoisseur needs a pipe, for a lot of reasons: Firstly, a pipe can be small and portable which makes it perfect if you need a discreet toke when you’re out and about. Secondly, you don’t need to fidget with rolling papers which makes a pipe ideal if you just want a quick hit especially in situations where you don’t have papers on hand. Thirdly, they are simple and easy to use. Here at Zativo you can find a big range of smoking pipes for every budget, from simple and functional wooden, brass or glass pipes to masterly crafted luxury smoking pipes! Smoking DMT - the Spirit Molecule - doesn't exactly taste pleasant and this is why you want a pipe for the quickest method of consumption. The glass DMT pipe is 14cm long. Best used with a blow-torch lighter! These Multiswirl Glass Pipes are just perfect for when you need a small and discrete pipe on the go! These pipes are blown from a single piece of glass that's cool in the hand. Made in India. They come in various cool, psychedelic, multi-coloured designs. The Wooden Weed Pipe XXL is extra, extra long! Measuring a respectable 39.5cm, this pipe makes for a cool and extra-smooth smoke. 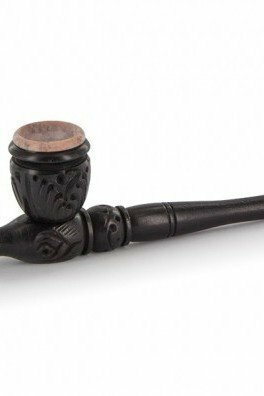 You can use this pipe for your favorite herb, but it works for pipe tobacco as well. 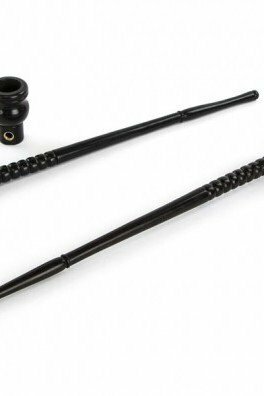 Similar to a shabong pipe, the Glass Pipe Double Hit has some length added to the stem thanks to the two loops. This means that the smoke travels a longer distance before reaching its destination and gives you a smooth and extra cool smoking experience! 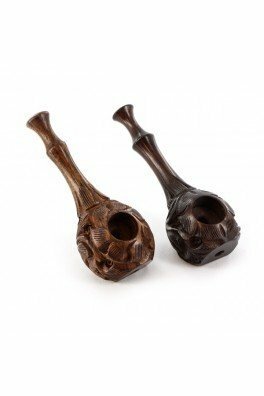 A spiffy wooden pipe with a nice design and an extra-smooth surface. It's only 10,5cm long which makes it very portable and easy to hide. 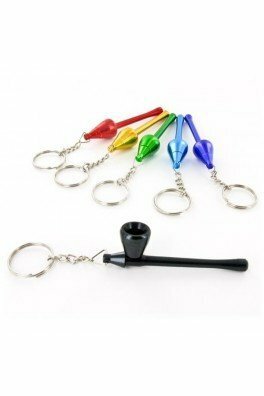 Perfect if you need a reliable, small and discrete pipe for a quick toke when you're out and about! Enjoy an extra smooth smoking experience with the Wooden Pipe Lungo. 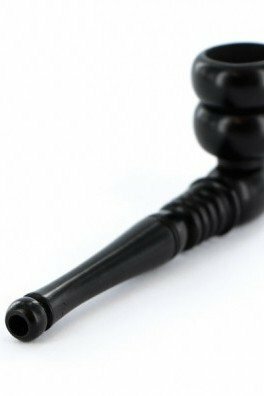 Crafted from ebony wood, the Lungo pipe is 32cm long, allowing the smoke to cool as it travels along the length of the pipe. 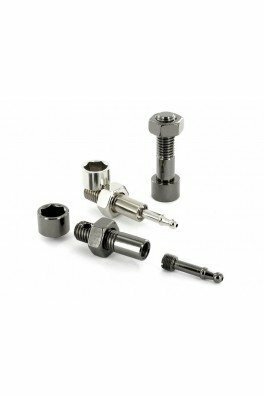 A This is a 2-part pipe with an unscrewable bowl for easy cleaning. This is a two-part, classic-looking pipe. Both parts are crafted from a single piece of wood. You can unscrew the bowl for easy cleaning. This pipe may be simple and without frills, but it sure is dependable and will never let you down. The pipe's length is 13cm. A pipe does not need to look fancy to be impressive! This metal pipe has the unique feature that it is screen free! 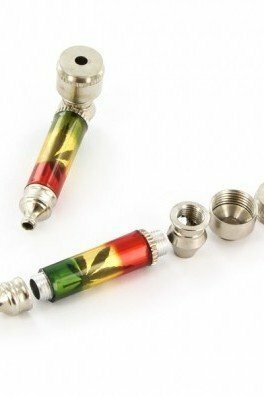 That's right, this pipe can be used without any screens, thanks to the design with the stem screwed into the bowl. You can also easily take it apart for a quick cleaning. 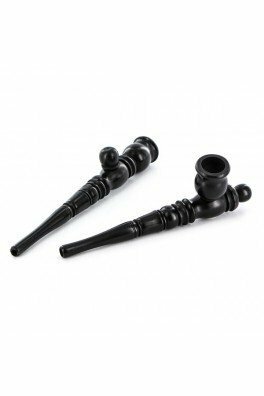 The Wooden Pipe & Chillum doesn’t just look great - it's made out of shiny black ebony wood - you can also turn this ingenious smoking device from a pipe into a chillum and vice versa in a jiffy! 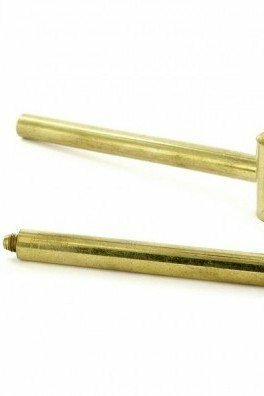 The chillum/pipe measures 17cm in length. Flying through a cloud of smoke, this majestic eagle claw pipe firmly grasps the glass bowl and resists toppling. At 13cm in length, this piece won’t let others prey on the smoke sesh, so let everyone soar into the eyrie and enjoy this elegant pipe. 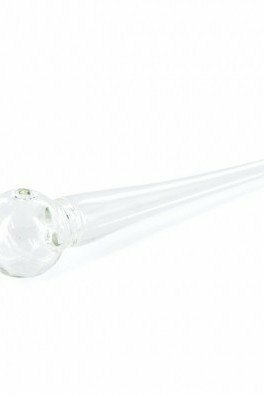 Smoke like a wizard with the Chongdolf Glass Pipe by Cheech and Chong! 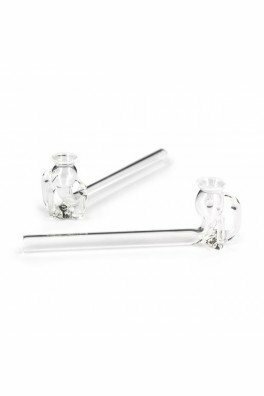 This wonderful glass pipe is handmade with each piece individually blown. 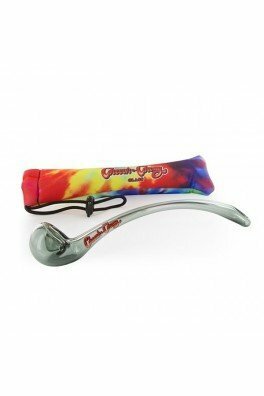 The pipe features the Cheech and Chong logo on the outside and comes with a colorful and padded carrying bag. The pipe measures 22.5cm.